I have really enjoyed my new KONGcart. 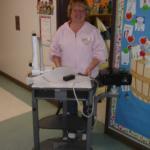 It is very sturdy and I can roll it anywhere in the classroom to project easily from any location in the room. Thank you for putting it together for us and it was such a joy to return from the long weekend and find it in my room all ready for use! I love everything about the KONGcart especially its compact, yet adjustable size. 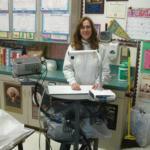 It accommodates all of the equipment I need on it, as well as adjusting to my needs whether they are to stand, or sit. It enables me to face my class while projecting behind so I can watch them. In first grade, that’s VERY important. I love its flexibility and mobility. It’s VERY easy for me to maneuver about. 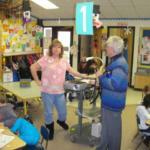 I can roll it with ease to the cafeteria if need be to use with multiple classes seated in one room. It’s great! Thanks for such a great classroom product. Hello there! Thank you so much for coming to check in on us. I am loving the KONGcart. I love that I can point the projector on any wall from where I am at. There are times I like the projector pointed at the white board so I can stand and point at the data. Other times, I like it up large on the wall so it is our focal point. Thought it might be top heavy, but I’m finding it sturdy and versatile. The kids love it, too! GORILLAdigital,I was a bit skeptical about moving my projector from the ceiling to a KONGcart, but have been enjoying sitting at the focal point of the discussion, and (once I readjusted the projector site from ceiling to KONGcart) quick ease of projecting. 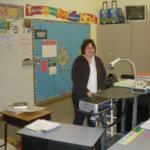 I have also used the shelves on the KONGcart for my TEs to get rid of a 2’ x 4’ table in front of the class. 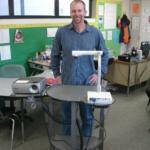 All in all, however, this all-in-one KONGcart is a good addition to the classroom. All I need now is a good laptop! I love my new KONGcart! It is great how it holds the projector, ELMO, DVD player, and still has room for other stuff. Thanks again for this very useful cart. The KONGcart works great. 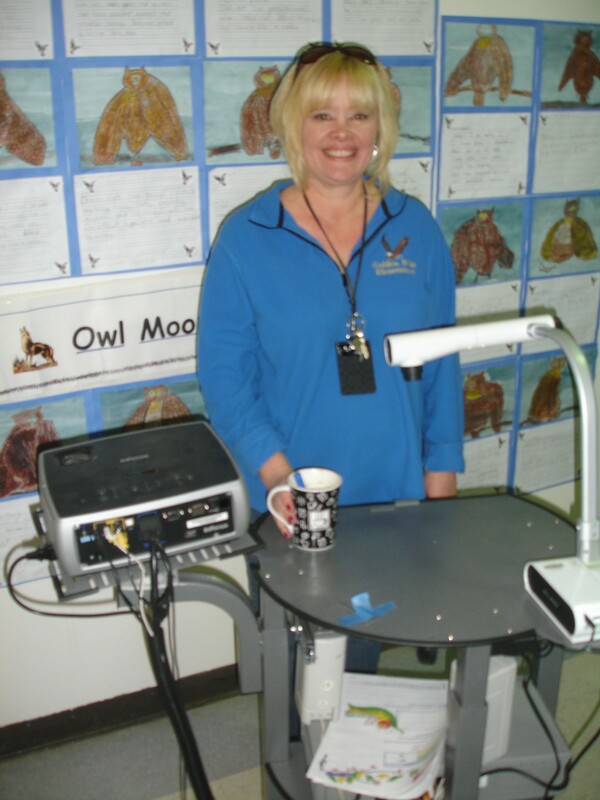 I love being able to sit or stand while teaching! Thank you so much for the KONGcart. It is much better than the “cart” I was using. It is much easier to maneuver because I do not keep it in one spot, but move it to the wall when I’m not using it. I’m looking forward to hooking up a lap top to it! Great product! the necessary tools to teach our students effectively. for the KONGcart.In my quest for teaching my old self new tricks, I have suffered the pain of the bumps and bruises ofchange. 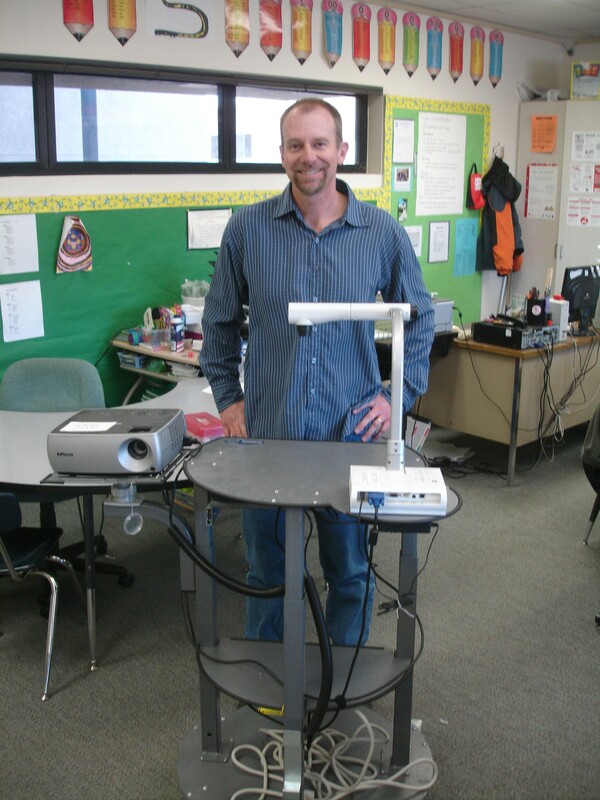 I look forward to many wonderful teaching times with my new KONGcart.I am also looking forward to using the many facets of technology that will be at my finger tips because of the design of the KONGcart!I hope that you have a great day and I wish you the best with your business. 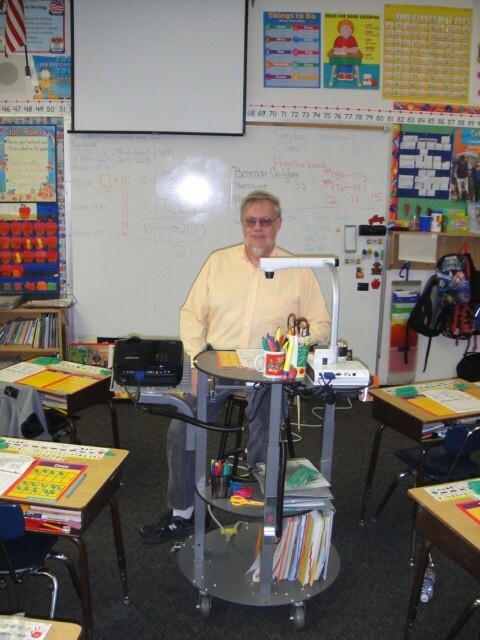 I absolutely love my KONGcart.It is so nice to have all equipment in one place and off of my table.I love that I can move it around the room and not only for large group but small group instruct anywhere in my room. Again thank you for such a wonderful product. 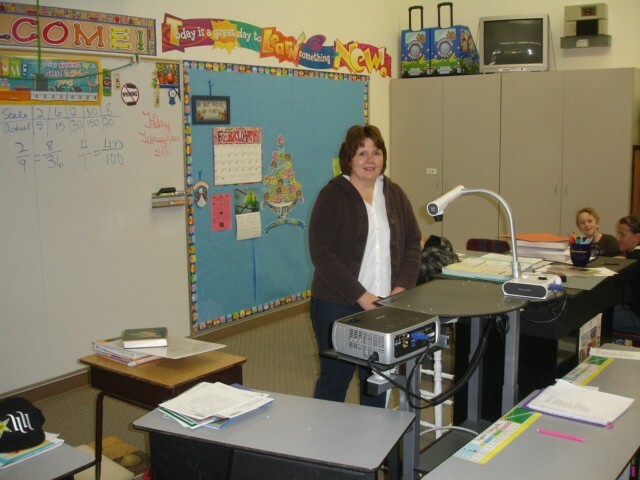 I would be continually juggling the books, paper, projector, manipulatives and other objects…now everything is easily accessible and I don’t have to spend time fiddling or setting up, I just teach. Ilove it. I like the shelf for my baskets of pens and stuff. I like that it is all stable in one place. When we got the KONGcart last month, I was really excited. I wanted to introduce it my students in a special way. I decided to do a read aloud using it. The only difference this time was, I had the children lay down on the carpet and projected the story on the roof as I read it aloud to them! I wanted to say that I love the ability to display on my classroom screen objects, books, and papers. 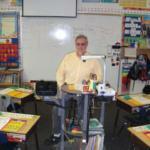 All students are able to see what I am showing them, and they are more attentive. The ability to show my computer screen is wonderful. The adjustability and durability of your cart are all wonderful. It has been very well thought out. Great product! This KONGcart has definitely impacted my instruction. I’m able to bring in more visuals as well as audio for my students. In fact, the KONGcart has been warmly welcomed to my class as “he’s” now affectionately known as “Bill.” Also, I like the fact that the equipment are all secure on the cart. 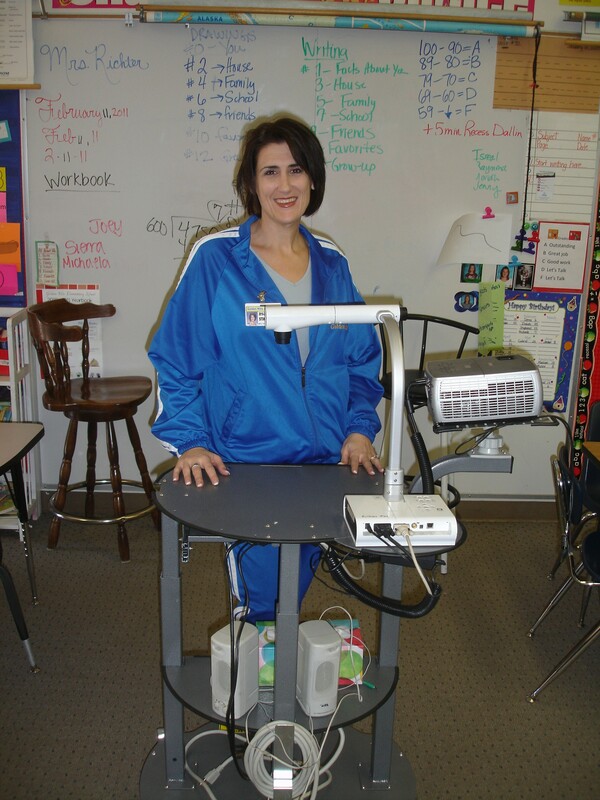 My KONGcart is easy to use and move, sturdy, and helps to prevent theft of my greatest technology teaching tools.The cart allows you to maximize the document camera, projector and laptop capabilities and create demonstration opportunities throughout the day. One of the KONGcart’s best features is the adjustable arm for the projector. That is a God-send. Before I had to prop books under the projector to make it work correctly; now it simply needs slight adjustment and Voila! I really like that the console has multiple locks. I don’t take my laptop computer home every night so having a locking system to keep it secure lets me rest easier. 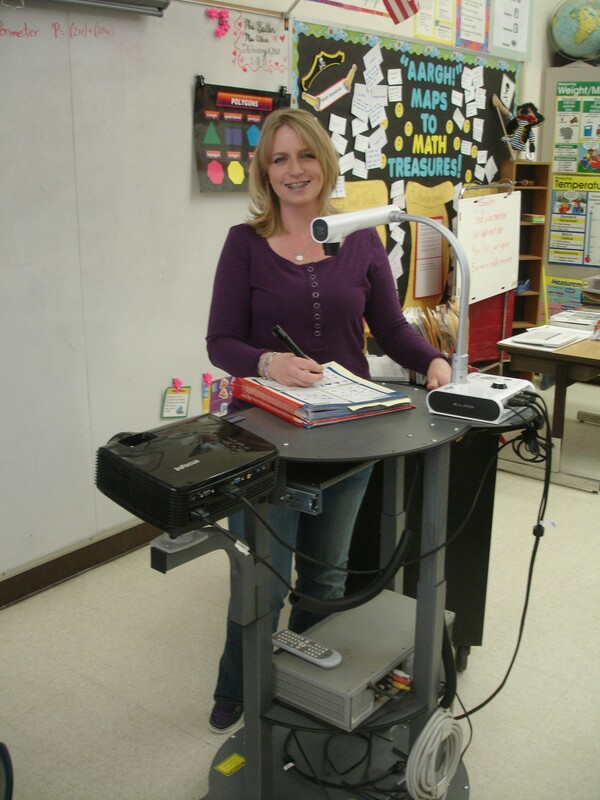 KONGcarts have an intelligent design that integrates the essential educational technology equipment of document camera, projector and laptop on a rugged and height adjustable pedestal. 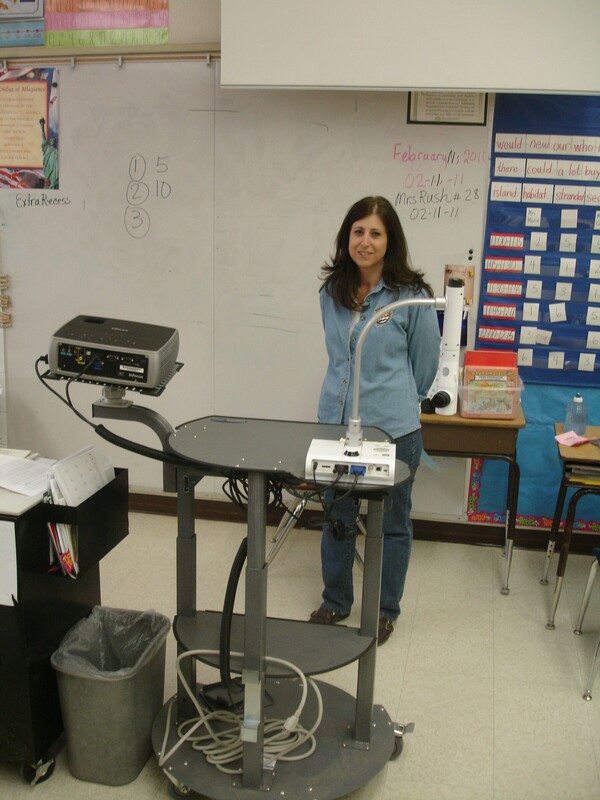 Also, KONGcart’s projector mount has a unique 360° rotation that allows our teachers to project on a screen in the front of the class and seamlessly change to a sidewall. 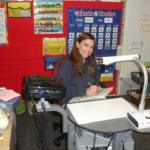 Our teachers use this dual screen approach to achieve small group teaching. 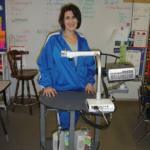 The stands are on wheels and move easily with the teacher. GORILLAdigital company has been outstanding in helping us design a Mobile Technology Workstand to accommodate our 21st Century Classrooms. 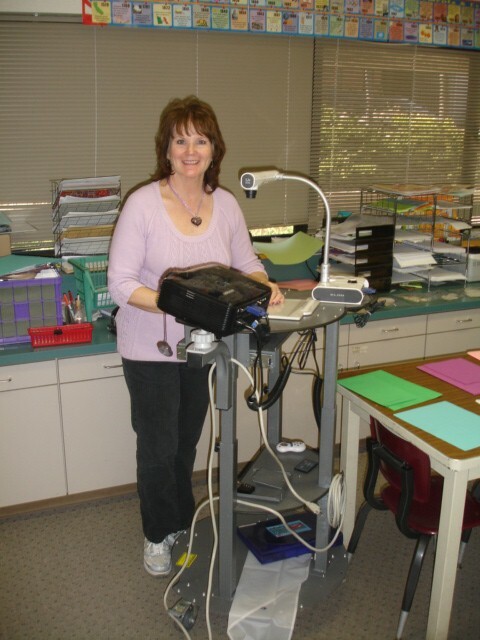 Our Electronic Document Cameras, Laptops, and Projectors all fit securely on one mobile stand that can move around a classroom or between classrooms to share. 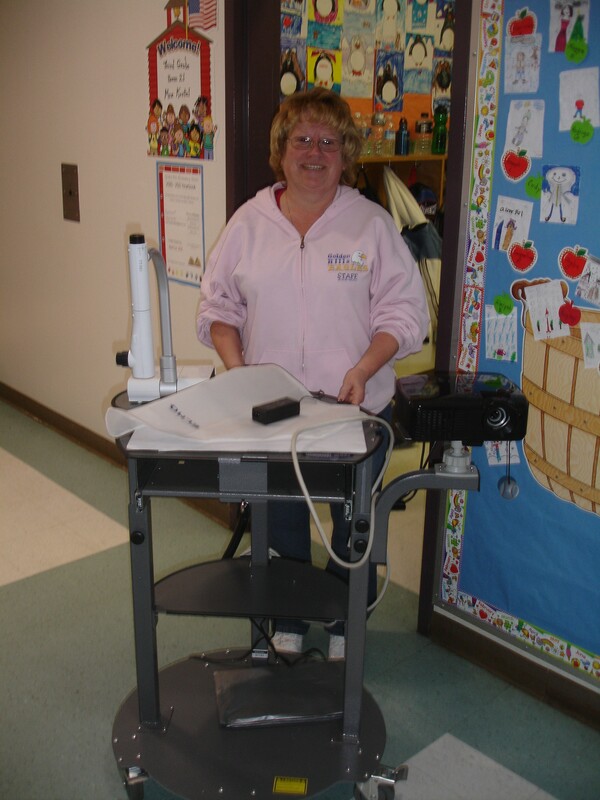 Here is what I think of my new cart… One of the happiest days in my teaching career was the day I received my new Elmo document reader and LCD projector. 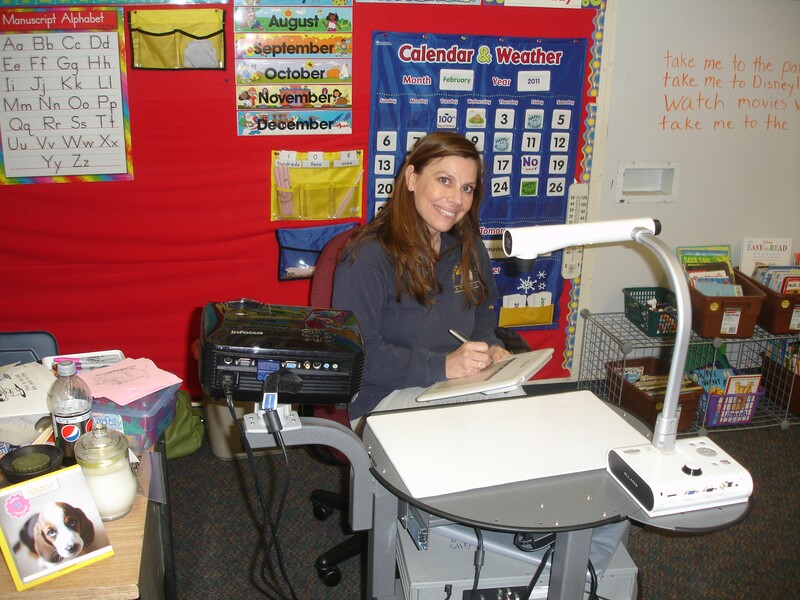 Using this new technology enhanced the way I could communicate learning to the children in a way I never could have dreamed possible. That joy quickly turned to sadness the morning I walked into my classroom to discover that there had been a break-in and my new technology was stolen. I was devastated. Thankfully, my principal found a way to replace my units, but I was afraid to use them for fear of having them stolen again. Each day involved disassembling and reassembling the units so I could lock them away in a closet. 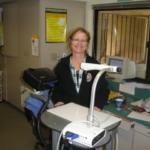 This daily set-up and clean up became a hassle and I began to use this great technology less often. Well there is a happy ending to my story. My principal purchased a new “security cart” to house my units. Both the Elmo and the LCD projector are actually locked onto the cart. 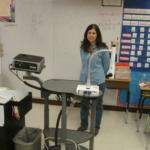 The cart, which has an attached white board and shelves, is too heavy to lift, yet rolls easily on strong metal wheels. All of the wires are tucked neatly away and I can now project anywhere in the room I want to with ease. Best of all, I am now no longer afraid that someone will take our Elmo from our classroom! Because I know it is secure, I can leave it out and ready to use. The children now have access to the latest technology to enhance their learning, and I have the peace of mind to know that it is safe. Thank you for designing this easy-to-use security cart. It has been a lifesaver for our classroom! Thank you so much for designing this security cart for our Elmo’s. 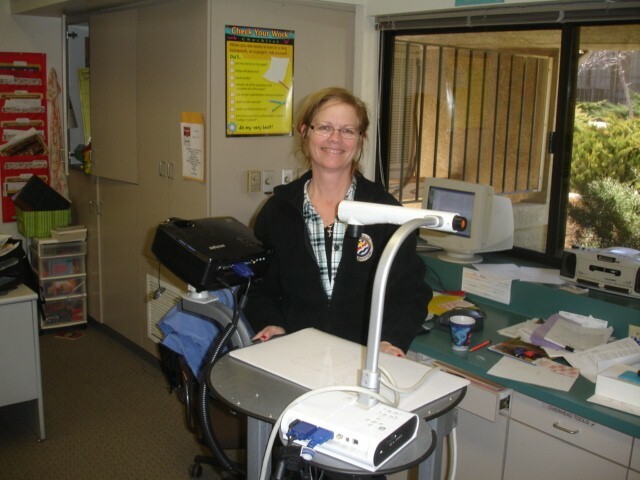 The security cart has been so wonderful to use with the Elmos because I can move it around in all different directions, heights and angles for my students to see better and get better use. I really like the storage box on the cart to store my everyday supplies and books in. I don’t know if the circular base was designed for our feet to rest on but I use it to put my feet on while I am sitting on my stool using the Elmo. 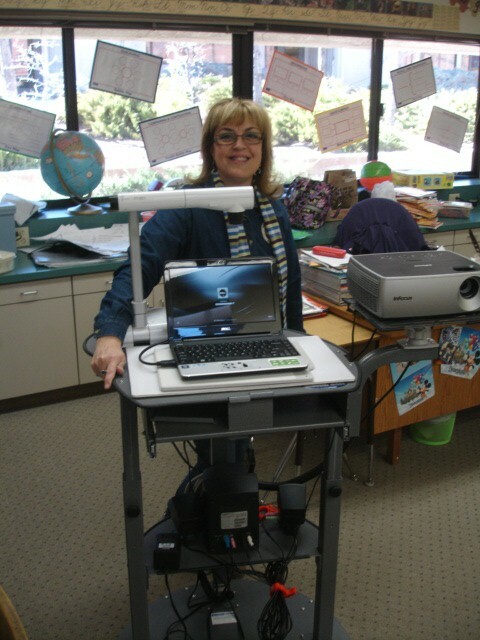 I absolutely love the Elmo and cart, and I am very thankful for our district because they purchased it for us. Thank you for designing this essential tool for our classroom and it is a nice feeling to know that our Elmo is safe and secure on this cart and can not be taken from us!! Thanks again Chris for all your help! 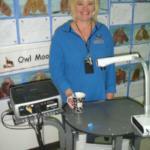 I can’t thank you enough for setting up the cart, projector, and ELMO for me to use with my class. Although I have only used it for a couple weeks, I have found it to be an invaluable teaching tool. It has saved me endless hours in prep time already. In the past when I wanted to show examples of students’ writing I would either have to xerox the original or retype examples myself. 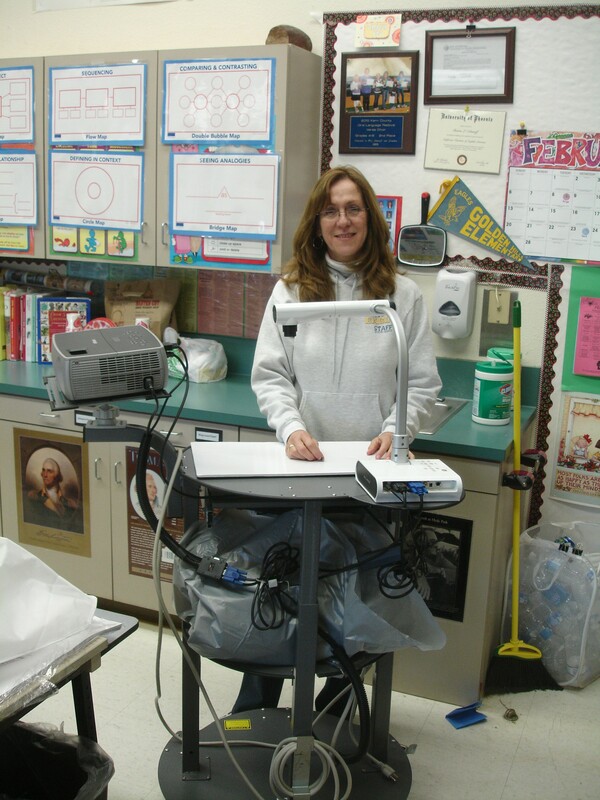 Then I would make copies for the class or make an overhead transparency to use with my overhead projector. With the ELMO, I can choose a sample at random and instantly show the class. This works much better than holding one student’s paper up in front of the class and asking “Who can tell me what is right with this assignment?” The ELMO has made it possible for students to get instant feedback and to see varied levels of classmates’ samples so they can critique them and make positive changes to their own work. Thank you again for this incredible tool. I can’t wait to put it to use in lots of other ways! Thank you so much for the security cart for my Elmo. The design is great!. I love the flexibility and the organizational features. Security and convenience; two great achievements. Your security cart keeps my Elmo and projector safe from theft and the possibility of being knocked down by myself or a passing student. 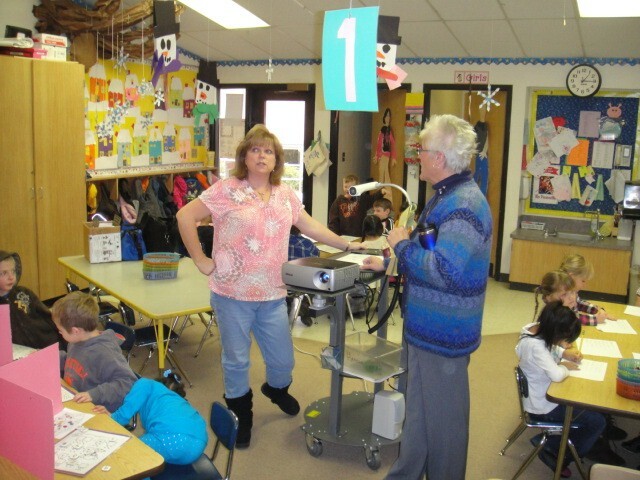 I appreciate the height adjustment on the cart as well, I can easily adjust it to my standing or sitting position or the perfect height for a student to show examples from. The wheel base on the cart keeps it sturdy and makes the cart easy to move around. I am really enjoying the cart and its many advantages. Thank you for the innovative and functional design. 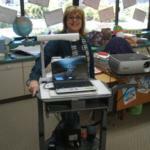 Since I’ve received the projector cart, my life has changed in the classroom. I keep an extra student book to show students exactly what I want and am able to display and correct work so easily! I never imagined that I would use this tool as often as I have. My projector is on multiple times during the day. My students are able to see everything. The cart makes the entire set up so much better. I love being able to set the cart height to what works for me and my classroom set up. I love that everything is together, neatly, in one place. I love that I can lock my laptop to the cart to show a presentation without worry about my laptop being stolen. I am a huge fan of the Mobile & Secure Cart! 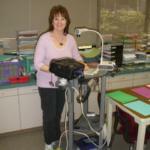 I have been teaching for over 10 years and this machine has made teaching fun and more efficient. Furthermore, you can easily attach your laptop for presentations, videos and other visuals. 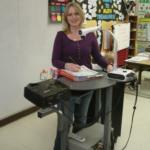 I would recommend this machine to any teachers!